It was the year the Edmonton Oilers came back and Mario Lemieux couldn't. The economy turned its worst performance since the Second World War. It was the time of Brian Mulroney and George Bush (Sr). Caller ID systems were introduced and the Internet revolution began. It was a time of hot pants, mini-skirts, pre-ripped jeans, grunge art, Ninja turtles, head bands and sneakers. "Die Hard" was a box office hit and TV show "Cheers" won all of the Emmys. It was the early 90s and TMG The Mortgage Group was formed. From day one, Grant and Debbie Thomas had a goal of operating a strong brokerage, educating the consumer that mortgage brokers were best suited to help them get the best products, and to not become a big, faceless company. They wanted to create a company with old-fashioned family values, yet remain relevant and strongly competitive. They have succeeded. 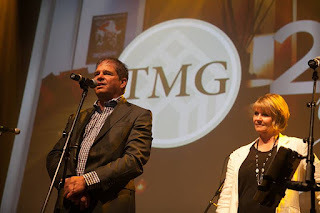 On May 28, 2015, TMG celebrated its 25 years in the mortgage industry with a gala event. After 25 years TMG, a national full service mortgage brokerage has developed an excellent reputation in the industry and is highly-respected among agents, brokers and industry partners, including lenders. 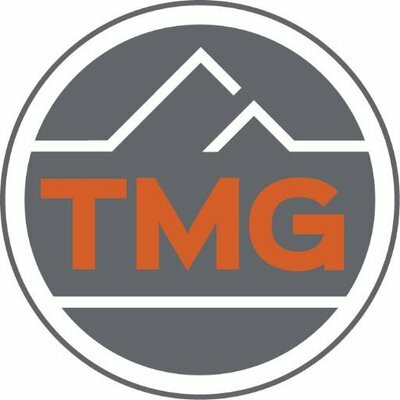 TMG is known as a company with integrity. Early on, it was decided to grow the company organically. Today, TMG has nearly 800 brokers and agents nationwide. The company continues to grow and attracts like-minded, professional individuals by treating them with respect, providing good value, and continually responding to their needs. “Our core values help promote an open, progressive, entrepreneurial environment. We think in terms of partnerships with our brokers and staff,” said Mark Kerzner, president of TMG. Through the years of continued and impressive growth, TMG has been able to maintain and even strengthen its corporate family culture. The company’s contribution has not gone unrecognized in the industry. In 2011, TMG was honoured with the Canadian Mortgage Award’s top award for Network Broker of the Year. In 2012 the company was named one of the Best Companies to Work for in B.C. TMG was awarded CAAMP’s Partners in Excellence Award as well as Grant and Debbie receiving MBABC’s Pioneer Award for Lifetime Achievement. In 2013 the company won Employer of Choice at the Canadian Mortgage Awards and later that year Grant and Debbie were inducted into CAAMP’s Canadian Mortgage Hall of Fame. In 2014, four TMG brokers were recognized for their contribution to the industry by winning CAAMP Excellence Awards. However, as wonderful as the accolades are, and as proud as they are of their achievements, Grant, Debbie and Mark are not ones to sit back and rest. There is much more to do. After 25 years, it’s important that TMG continue to find innovative ways to help its brokers succeed.